A study published recently in the New England Journal of Medicine calls into question the usefulness of a blood pressure medication that about one in six veterans with post-traumatic stress disorder currently takes to control nightmares. The drug, prazosin, did not help the subjects sleep better. It did reduce distressing dreams, but on that point, it did not perform any better than a placebo. This should raise some eyebrows in the veteran community, given that the VA is prescribing prazosin for about 100,000 veterans diagnosed with PTSD. As Newsweek reported, the results came as a surprise to Dr. Murray Raskind, a psychiatrist with the Veterans Affairs Puget Sound Health Care System, who has studied prazosin for more than 20 years. While treating a Vietnam veteran for nightmares in 1995, he noted the vet also had high blood pressure. He prescribed a beta blocker, one of a class of drugs designed to nullify the effects of adrenaline. That drug made the nightmares worse, but prazosin, which “blocks the alpha-1 receptor for adrenaline and related chemicals in the brain” was effective. Prazosin gained support from the American Academy of Sleep Medicine in 2010, when a task force “recommended that prazosin could be used to treat nightmares linked with PTSD.” Dr. Raskind notes “there have been six positive studies for the drug.” So, what should veterans make of this current study? The volunteers for the new study were almost all veterans of the Vietnam War and about 80 percent had received disability due to PTSD. So, the cohort is highly relevant for veterans with PTSD. However, the first study looked at only 300 patients, and 150 of them received the placebo rather than the drug. We also have to keep in mind the potential strength of the placebo effect in a study of an emotional illness, especially over the short term of such a study. 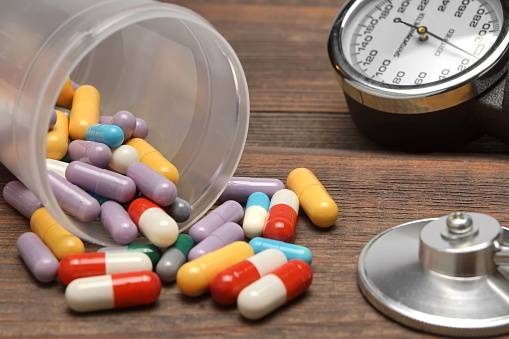 Another issue is whether the presence of another symptom, such as high blood pressure, affects the efficacy of the drug. Dr. Charles Marmar, chair of NYU Langone Health’s psychiatry department, has had remarkable success with prazosin in trauma patients. He suggests the drug may only work for patients with higher blood pressure than their peers, which was not a point of inquiry for this study. The study certainly raises issues for veterans with PTSD to discuss with their treating physicians, especially if a prazosin regimen has not been effective. Veterans deserve better than to be given ineffective drugs without proper reflection or follow-up to assess their usefulness.